Take your dog on a rollercoaster of fun with the KONG Knots Carnival Animals! Designed with a combination of various textures and entertaining features, the KONG Knots Carnival Animal Rope & Plush Toys provide an endless carousel of fun times for your dog! 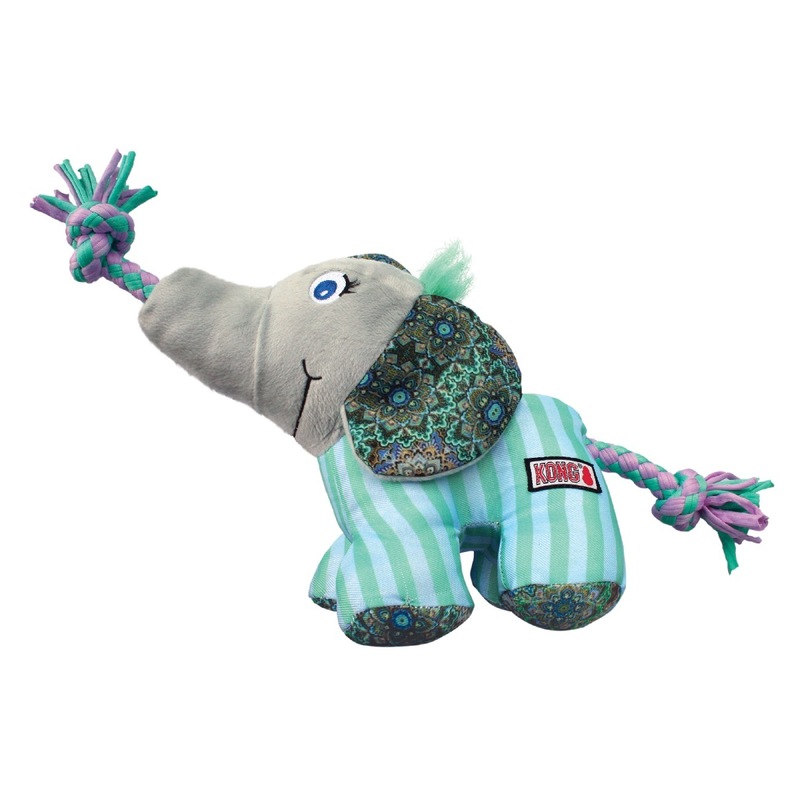 Each Knots Carnival plush feature an internal knotted rope skeleton that gives your dog plenty of chewing delights while the external knotted ropes make great grips for your pet to thrash and tug the toy as they please. Made with minimal stuffing, this plush rope dog toy creates less mess. A squeaker is included to double the fun and make it a circus of good times for your pet! 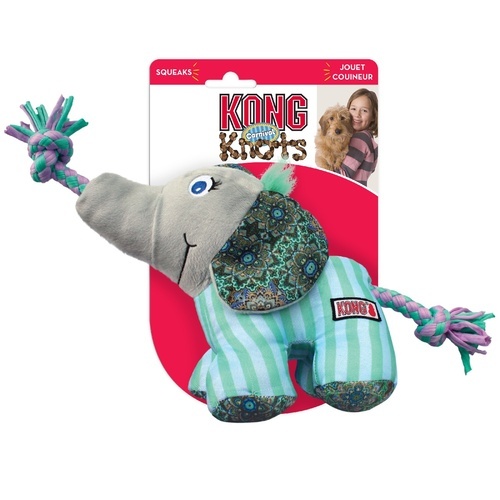 The KONG Knots Carnival is currently available in Small/Medium and Medium/Large sizes and Elephant or Camel designs. Innovative carnival animal style dog toy with internal knotted rope body that satisfies your dog’s chewing urges and needs – great indoor playpal! Plush body – makes the perfect cuddle buddy during bedtime! Turn your dog’s playtime into a full-on circus with the KONG Knots Carnival Animal Plush Rope Toys!